Here are a few tried and tested projects that were designed with primary schools in mind but could easily be adapted for older children. Most lesson would be 60 to 90 minutes long but that is dependant on how many children are in the class and what materials are being used so get in touch for an exact timescale and price. children from beginning to end, she shared her own work as an artist and spent time discussing and explaining her pieces. Age appropriate workshops were delivered to a high standard, supporting the schools implementation of the Art National Curriculum, developing skills and promoting independent and creative thinking." These lessons go back to the very basics of drawing and how to use materials such as charcoal and paint. Lessons are broken down into simple steps, by the end of the project children should have a better understanding of tone and shading, proportions of a face, perspective, and how to mix secondary colours and different skin tones. 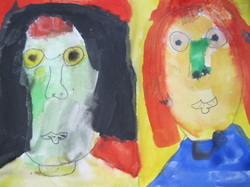 Lesson 3: Colour wheal and colour mixing including mixing skin tones. Looking at the famous European artist from 1860 to 1960. These can be swapped for different artists if desired. Each lesson we will look at art from a different culture. 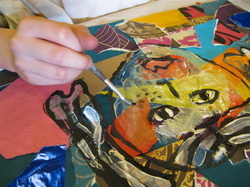 Then we produce art inspired by the native art of that country. 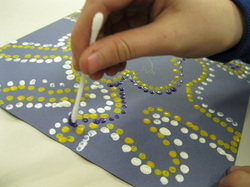 This is a fun course that gives the children a little introduction to lots of different methods used to make art. 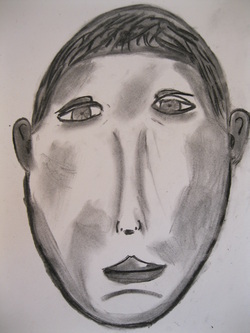 This project starts with learning how to draw a face accurately and then pupil’s builds on that knowledge by experimenting with different materials. Lesson 1: Drawing faces- a step by step lesson on getting the proportions right using pencil and charcoal. This project is designed to fit in with a school’s history project such as ‘World War 2’ the aim is to make several scenes from a specific period in history using different materials. Lesson 2: Making characters from clay. Lesson 3: Painting characters and designing the set. 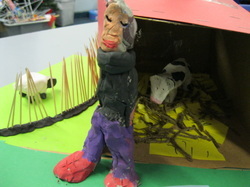 Lesson 4: Building the scenery for their clay characters. A really fun project where children get to experience working in 3D. This is a really fun sculpture project! 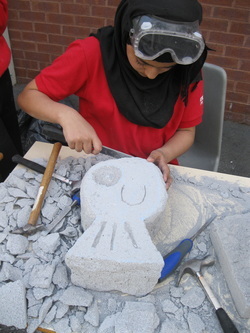 Using a hammer a chisel to create and animal or face on a breeze block. 5 children at a time minimum session time 1 hour 45 mins. For a class of 30 to do it it would take 2 days. Sculptures can then be painted.